Three years into my PhD, the most important thing to me was publishing in Nature. As a PhD student in computational neuroscience at Carnegie Mellon, I was building computer simulations to study how groups of neurons should be configured to best represent information. Day in and day out, I tweaked the parameters of my simulations, rummaging around for interesting effects. But what began as a noble pursuit -- understanding the foundations of neuronal computation -- soon devolved into an empty impact factor chase as I became a master in the art of science writing and “selling” my findings. I was miserable. While finishing up my first research project (1), I resolved to make a major change in my research direction. What was the one thing that I could work on that would most benefit and truly impact the field? At the time, neuroscience was a disjointed mess. Thirty years ago, the field was composed of 100 brave pioneers, studying the brain using limited tools but armed with their own creativity. Now, the field had ballooned into 100K individuals, each working towards collectively understanding the minutiae of the brain’s function and dysfunction. Despite the wealth of knowledge my colleagues were discovering, a major challenge was merely keeping up with the research literature in one’s own subfield, much less the greater field at large. I set my sights on tackling this problem of organizing scientific information, and in particular, understanding electrical diversity across neuron types throughout the brain. While hiding from my PhD adviser, I began developing computer algorithms for mining this data from the texts of published papers. I was amazed by how quickly I made progress. In stark contrast to my previous computer language of choice, closed-source Matlab, I readily found free and open-source tools in Python which did much of the heavy lifting in text mining and database management for me. Within a few short months, I had an early working prototype of the NeuroElectro web resource (NeuroElectro.org). But the early success with the project posed an existential dilemma: should we open NeuroElectro up to the public on the internet? It needed tons of polish and was at least 2 years away from publication (2, 3), but my experience from the open source software community suggested that opening it to the public might be a great opportunity to get early feedback and community buy-in. On my other shoulder was my academic intuitions -- what if someone scooped us by analyzing the database’s content before us, reaping the major rewards of building NeuroElectro? After carefully weighing the pros and cons with my adviser and labmates, under the credo: “What would Aaron Swartz do?”, we opened NeuroElectro.org to the public and sent around a few emails to labs which would be interested. As I starting going to conferences and presenting the NeuroElectro resource, the feedback was beyond belief. I would get comments like: “this is amazing! this is exactly what the field needs!”, “this is free? really?”, “I need to email this to my lab immediately!”. Big shots, people I wouldn’t have dreamed of talking to earlier, would chat with me at length and offer their genuine feedback. One of the fathers of my field, Gordon Shepherd, became my mentor and strongest advocate. All of this is to say, I was finally working on something that had true impact, based on the overwhelming support I was getting from the community. And by being open, I was earning the rewards from my work long before publishing it. More recently, the exposure from being open has led to amazing and previously unimaginable opportunities. For example, the multi-billion dollar Human Brain Project invited me out to Geneva, Switzerland to serve as an external advisor on improving their data sharing and perceived openness. During a panel discussion on literature text-mining at Harvard Medical School, I used NeuroElectro to justify the need for a liberal text-mining policy to the mega-publisher Elsevier. Lastly, I’m a member of the Neurodata Without Borders project, working with the field’s leading experimental and informatics experts from HHMI’s Janelia Farm and the Allen Institute for Brain Science, to create a standardized data format for neurophysiology. By participating in these efforts, I’ve been able to organically grow my professional network and pool of potential collaborators. Importantly, being open has led to increased research funding for my work. I’ve received a coveted Canadian Institute for Health Research postdoctoral fellowship and my lab’s R01 grant submission to the NIH was scored very highly. In both cases, reviewers cited our openness and commitment to creating useful informatics tools as key strengths of our research. When I look back on the way I used to do neuroscience compared to how I do it now, the key difference is that today, I have much more fun. I work just as hard, but now, I get to work with smart and creative people who also want their science to have a real impact. Being open and non-secretive about my work-in-progress means that I get feedback early and often, allowing me to refine my efforts for maximal impact and awesomeness. In short, becoming an open scientist made me fall back in love with neuroscience. I like the progression from "must publish in Nature" to "lets put one's work out there and see what happens." I also like how the putting it out there has meant interaction with a variety of leaders in the field. Do you think this would be true for others? or is it more the timely subject matter of your work? The early-and-often feedback is wonderful, it points at how we can all do better science with the help of others. This essay is inspirational because it tells the story one person's transformation from obsession with impact factor to creation of an open tool. This narrative is relatable because many scientists have spent some time motivated by chasing a high impact publication. His realization that he can make a bigger impact on the field through NeuroElectro, along with examples of how creating this resource enabled him to advance his career, make this essay stand out. Whoops, I meant to show no stars for figures as there are no figures, and full stars for confidence. This is a great essay that should resonate with many reading it in the life sciences. Students and professors across the world are desperate to publish in a "major" journal so that they can advance their career and feel as if they are a success. Indeed, they define success by the simple act of publication in a certain journal. Shreejoy shows that success can come in a different form by being open and engaging with the community-- a success that is perhaps more rewarding than a vanity metric. I think the honesty in writing this piece makes it really resonate with readers and I hope it serves as guide for other PhD students. 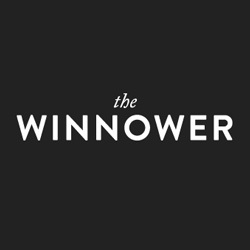 COI: I am the founder of The Winnower but I have no role in the judging of the manuscripts for the Advancing Research and Scholarship contest. This is a very nice essay that blends personal, scientific and career arcs. 5 pts for "inspiration factor"
5 pts for impact of activities on personal goals, science, or scholarship.